When it comes to choosing colors, where do you get your inspiration from? Does it come from nature? Or perhaps fashion inspires you? I tend to draw most of my inspiration from other crafters. Pinterest is a great resource to get ideas from. I also get inspired by clothing and fashion. Most of the jewelry I design comes about because I have an outfit I like but don’t own the accessories to match my vision. So whats a crafty girl to do besides make them herself? 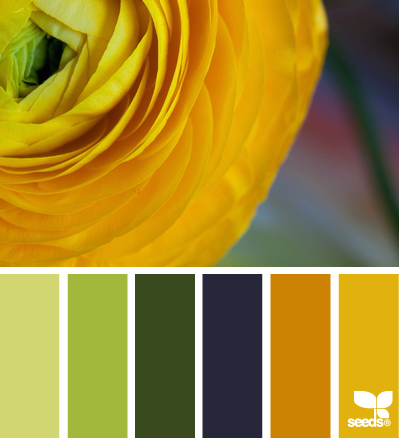 One of my favorite blogs for color inspiration is Design Seeds. With daily posts, inspiration is never more than a click away. Below are three of my recent favorites, Color Sprung, Ranunculus Color, and Cherry Palette. So tell me, what inspires you? I would love to hear about where you get your color inspiration from! I love Design-Seeds. It makes tiny explosions of creativity in my head whenever I spend time on their site. Those three colour samples are also haunting me and begging me to create. I completely agree! I haven’t decided what I want to make with those colors yet. So I blogged about them hoping the inspiration would come!